← Join us for the ZAP Spring International Celebration! Portland, OR (May 12, 2012) – Northwest Fair Trade Coalition, Portland’s local economic justice and fair trade coalition, plans to create Portland’s first ever Fair Trade Directory. Local businesses and community organizations who sell fair trade products will be listed in the directory so that people will have a local resource to know where to find and purchase authentic fair trade products. Fair trade products are made under safe and healthy working conditions, free from exploitive child labor and in accordance with international fair trade principles. The directory will include local grocers and identify what fair trade products they carry, as well as faith organizations who serve and sell fair trade goods. The group will announce the directory on Saturday, May 12th in honor of World Fair Trade Day, the nation’s largest fair trade event of the year, at the new downtown Portland World Market. The community can enjoy live international music and dance performances all day, free wine tasting, fair trade espresso and purchase handcrafted goods from a few businesses who offer fairly traded products represented at the market. 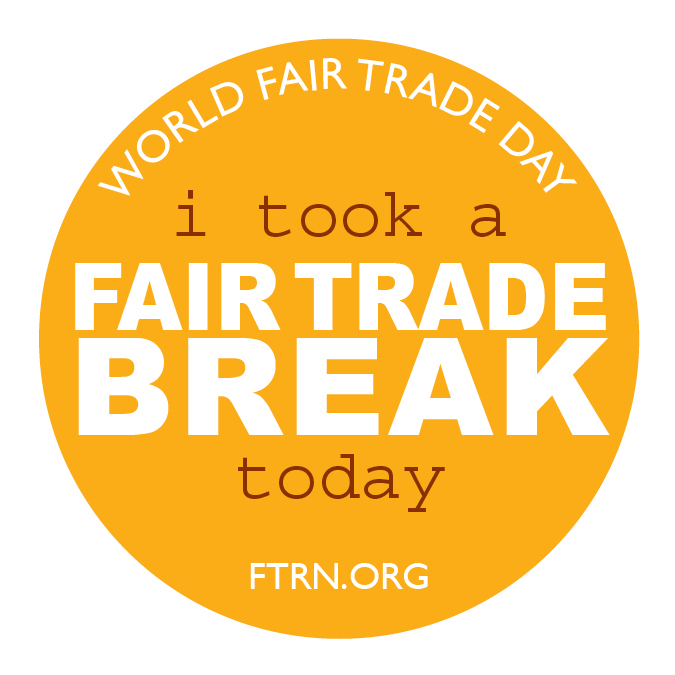 Members of the Northwest Fair Trade Coalition will stand in solidarity with thousands of people in 80 countries worldwide on World Fair Trade Day to highlight the importance of a business and trading model that supports fair wages and healthy working conditions for producers around the globe. By making more fair trade products visible and available to our community, we will increase consumer awareness and purchase of fair trade products, strengthen our local economy and create solutions to end global poverty. With this directory, we aim to enhance the visibility of fair trade in our community and enable consumers to connect with local businesses and organizations that sell fair trade products. “We believe that more people will support and purchase these products if they know where to buy them,” says Sarah Mitts, owner of Awaz Voice for Empowerment, a local business offering fairly traded handmade products from India and chair of the Coalition. Local businesses and organizations who carry fair trade products can send an email to nwfairtrade@gmail.com to be sent information about how to be involved and a survey. WHO: Northwest Fair Trade Coalition member businesses, community organizations and individuals. The Northwest Fair Trade Coalition is a volunteer organization of local socially responsible businesses, community organizations and activists united in raising the profile of economic justice in trade and promoting fair trade products within Portland. Fair Trade is a trading relationship, based on dialogue, transparency and respect, that seeks greater equity in international trade between producers in developing countries and businesses and consumers in more developed areas around the world. The Fair Trade system ensures that people along the supply chain receive fair wages, that workers and communities are treated with dignity and producers take steps to preserve the environment. It contributes to sustainable development by offering better trading conditions to, and securing the rights of, marginalized producers and workers throughout Latin America, Africa, Asia and other parts of the world. The Dark Side of Chocolate is a 45 minute documentary by award winning journalists, Miki Mistrati and U Roberto (Robin) Romano, which investigates the continued allegations of trafficking and child labor in the international chocolate industry and goes undercover to visit cocoa plantations in West Africa. This event is free! I wish this guide will be on-line only. We’re already cutting down way too many trees for phonebooks. A bad model. On-line is the future. Let’s meet there. thank you for your feedback!! keep it coming!! We are working on an online format and definitely agree!! Do you know of a good software to use for that? I recommend the magic of Google. And posting this on your fan page.